Kid-made gifts will never look perfect. 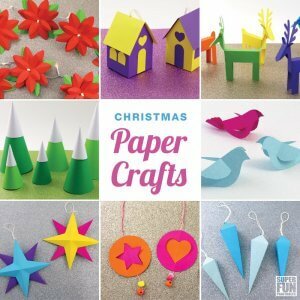 They often cost money to make and they take up time and create mess while making them, so I’m not surprised that most people usually choose to buy gifts from the shops instead. 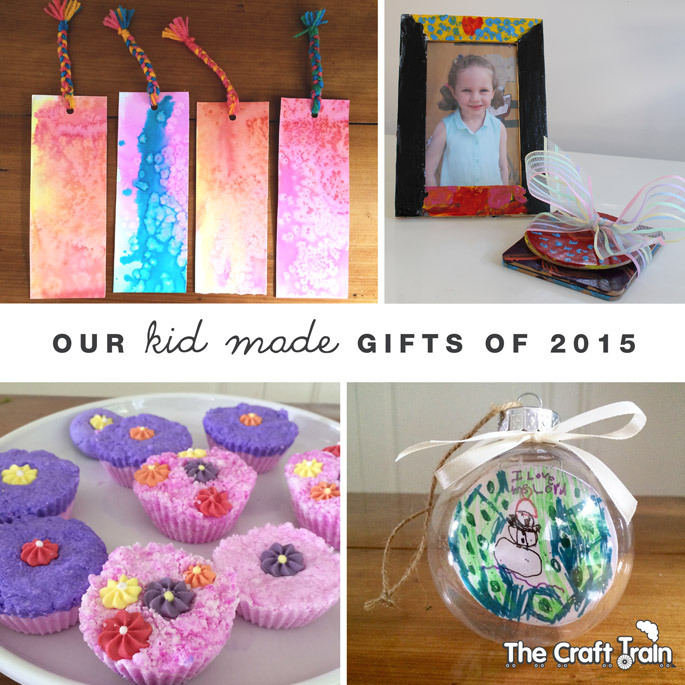 I personally think that the good reasons to help your kids create their own gifts outweigh all of the above. There is the fun factor at the top of the list, the sense of pride and accomplishment I see in my girls when they give away the special things they’ve made and also the fact that they are taking time and putting effort into giving at a time of year when it’s pretty hard for a kid not to get caught up in all the stuff that’s going to be given to them on Christmas day. It helps them to appreciate and think about the special people in their lives like their teachers, grandparents, relatives and friends. I’ve seen their faces light up at the thought of what they could make for people they love just as much as it does when they are thinking about the toys they want for Christmas. That said, we don’t do a huge amount of gift-making, just a bit here and there. 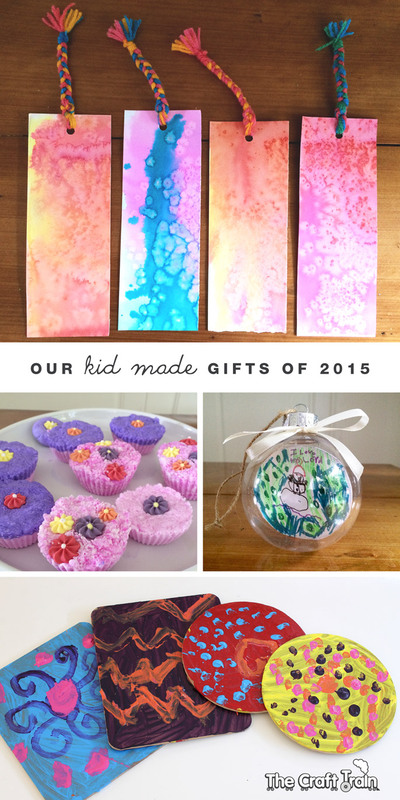 In this post I’m sharing with you some of the things we have made this year. 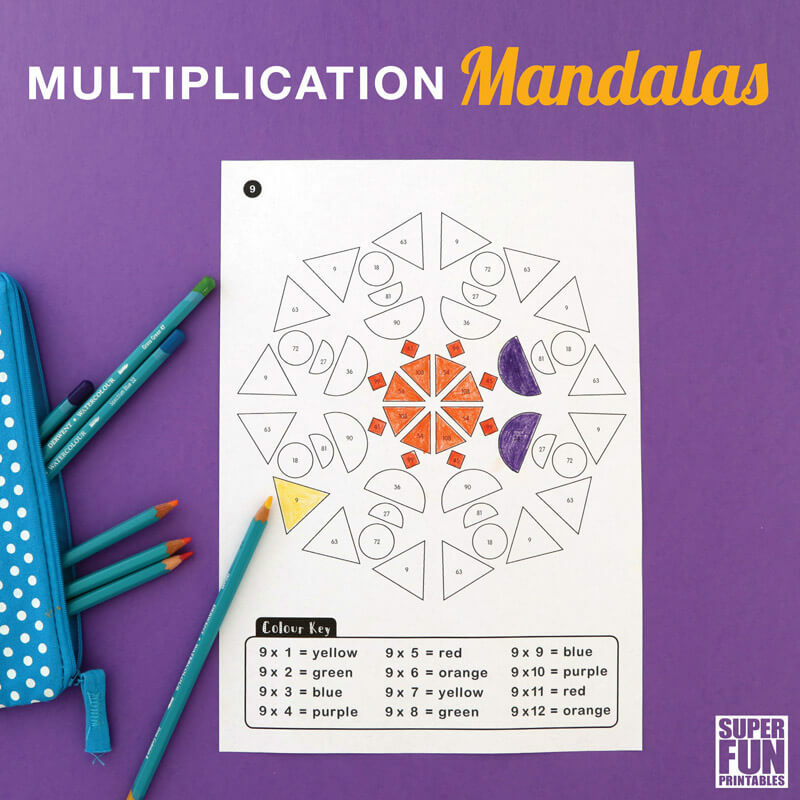 My kids have done as much of the making as they are capable of, and at ages 6 and 7 they are able to do most of it by themselves, with a proud mama looking on and trying to turn a blind eye to the enormous mess all over the table and floor! 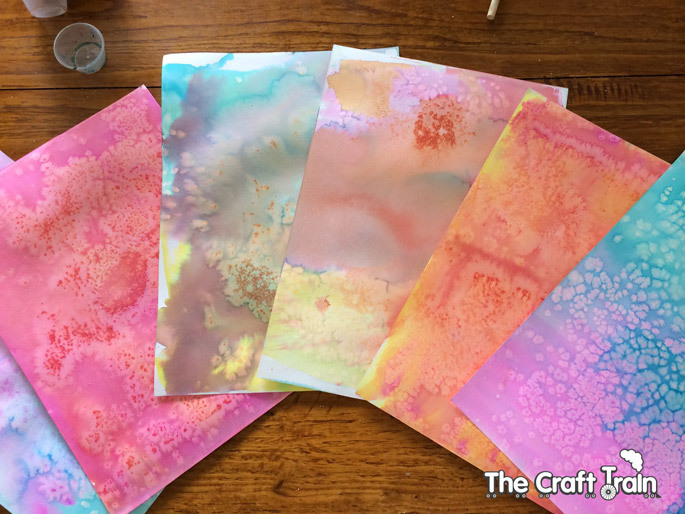 Recently we did some liquid watercolour and salt process art, and the results are so pretty! 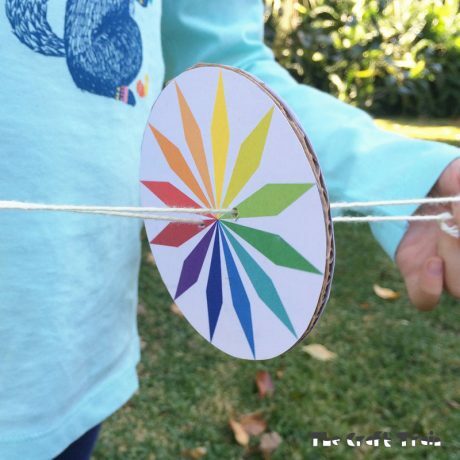 We didn’t create the this art with gifts in mind, but it was hard not to make use of the finished product. 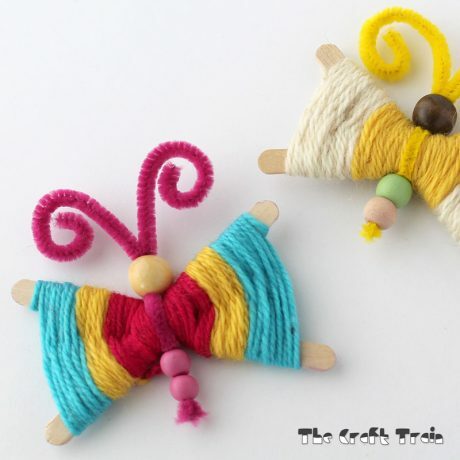 We are actually using the same paper for another project coming soon, but with the leftover scraps we have made some cute bookmarks simply by punching a hole in the top and braiding some colourful yarn onto the hole. Bookmarks make great gifts because they are useful, take up very little space and will make somebody smile every time they open their book. 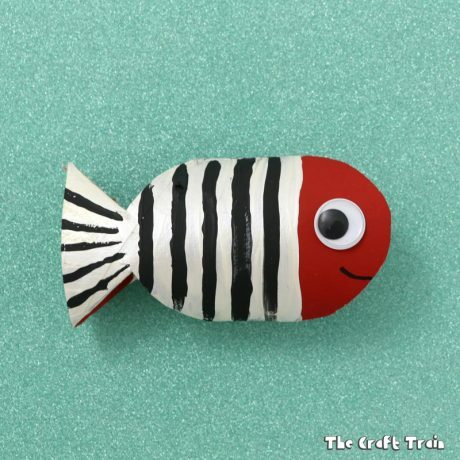 In the past we’ve also made recycled cereal box bookmarks as gifts. 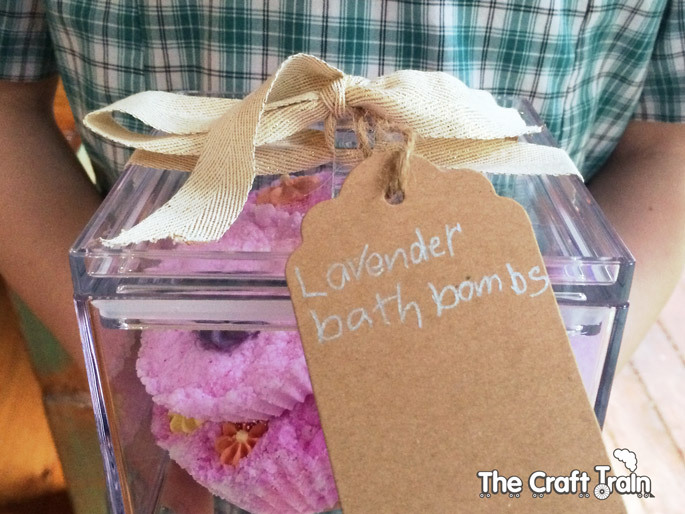 As teacher gifts this year we decided to try our hand at bath bombs. There are a huge number of varying recipes out there, but in ours we included 1 cup salt, 1/2 cup citric acid, 1/2 cup Epsom salts, 1/4 tsp water and 2 tbsp coconut oil. For fragrance and colour we added essential oil of lavender and a small amount of liquid watercolours. 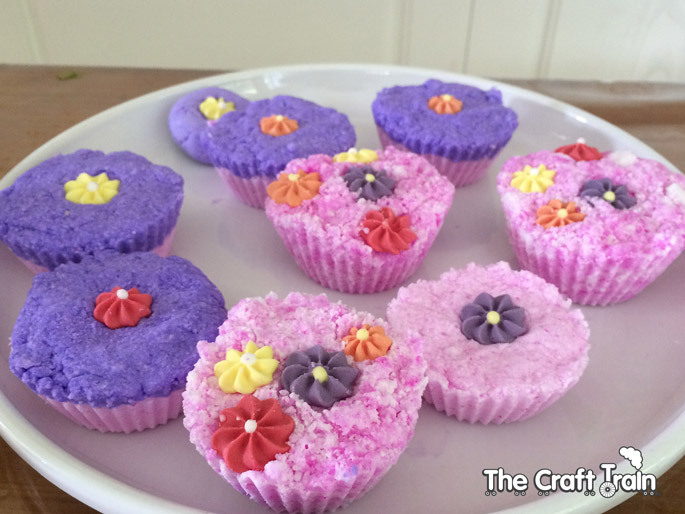 The girls were a bit inconsistent with the amount of liquid they added, and too much liquid will make the bath bombs fizz up too much while you are still making them and they won’t work properly. Also we discovered that the mixture needs to be packed very firmly into the mould to avoid the finished product becoming too crumbly. Our first batch of bombs worked beautifully, but unfortunately the humidity got to them and they went all mushy before we could give them to the teachers. 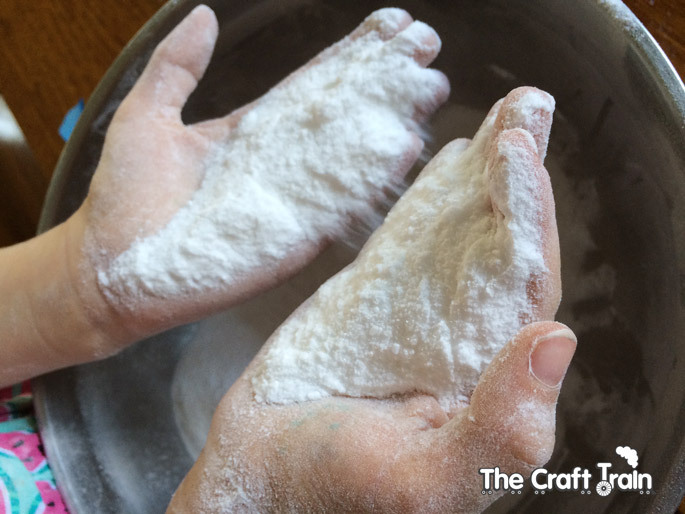 Not to worry – we made a second batch! This time I made a batch along with the girls and that helped because the ones they made were a bit too crumbly and had to be tipped as fizzy crumbs into their own bath instead. We bought a nice storage container for each teacher and filled them up with the bath bombs that did turn out and the girls each wrote on the tags. 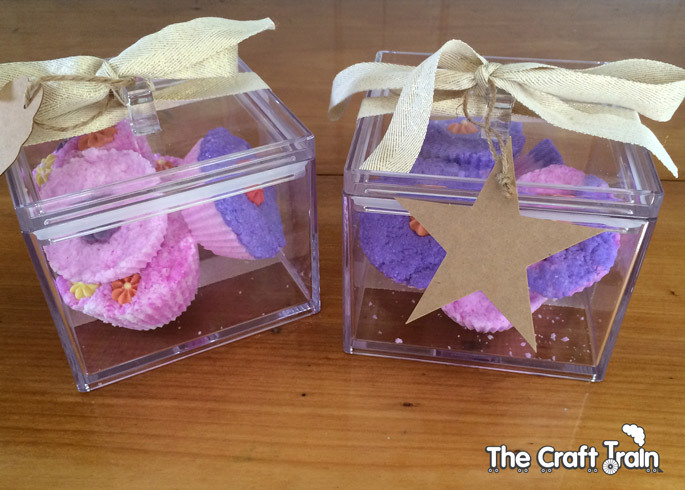 They may or may not work properly in the bath but they certainly looked cute all packaged up! 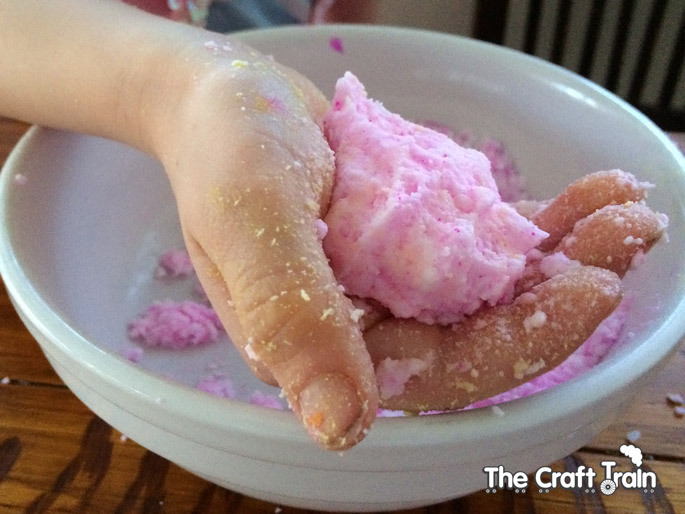 The kids both adored the sensory process of making bath bombs and couldn’t get enough of running their hands through the mixture. 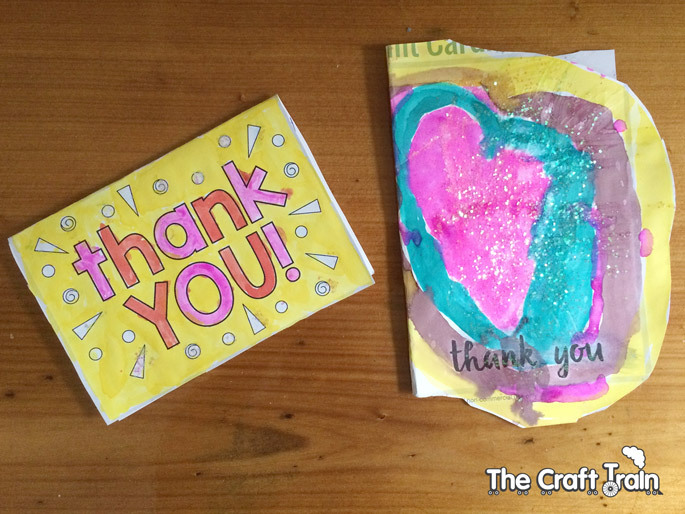 We found these cute printable thank you cards at Picklebums and the girls each painted one for their teachers and wrote a message inside it. Having a pre-designed template for the kids to colour in or decorate how they liked made it quick and easy for me to get the hand made thank you cards sorted. 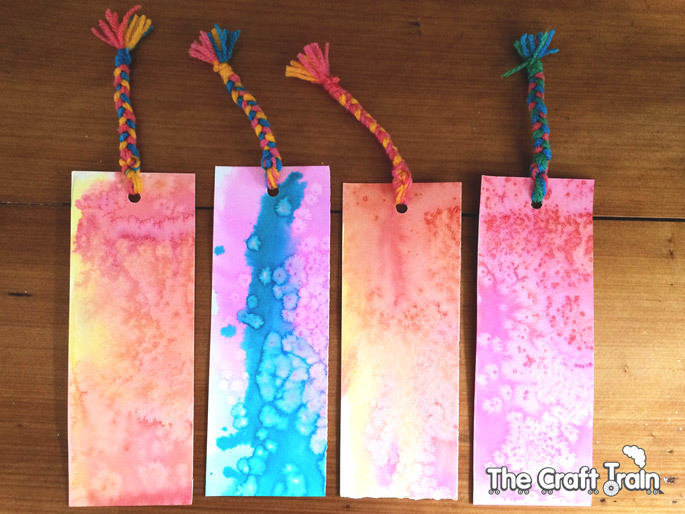 We used liquid watercolours again for ours, but you can see how beautifully Kate and her family has decorated them and view all of the different templates she has designed here. Miss K also made a special Christmas decoration for her teacher using a plastic fillable bauble. 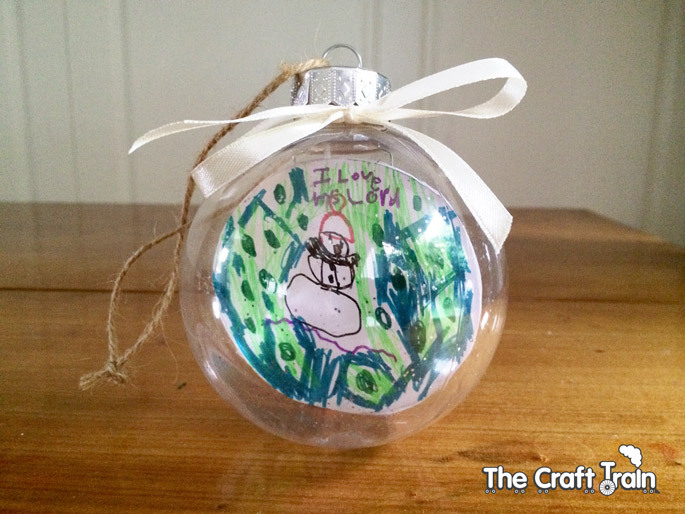 We originally found this idea over at Creative Play Central, where they have created gorgeous, sparkly keepsake ornaments for their own tree. Our technique is slightly different, miss K drew two circular pictures the same size and glued them together with string in the middle, which I suspended from the hole at the top before putting the silver cap on. 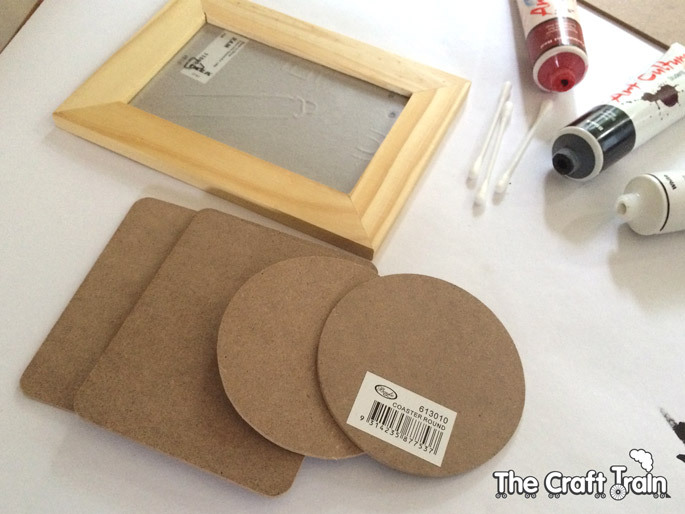 We made these arty coasters and photo frame earlier in the year for fathers day and I never got the chance to write a post up, but they are as simple as they look to make. 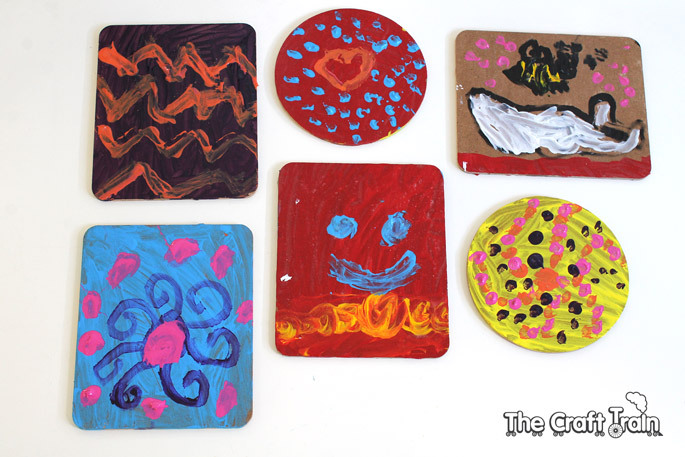 I bought some plain wooden coasters from Bunnings which are similar to these ones here. I set up some acrylic paints with cotton tips imagining that the girls would create designs using dots but they just used them as you would a paint brush and these are the results. The red one with the face is meant to be Mr Strong – just like Daddy! I also gave them a couple of blank wooden frames to paint, we gave one to Pop and one to Daddy with cute photos of the kids in them. 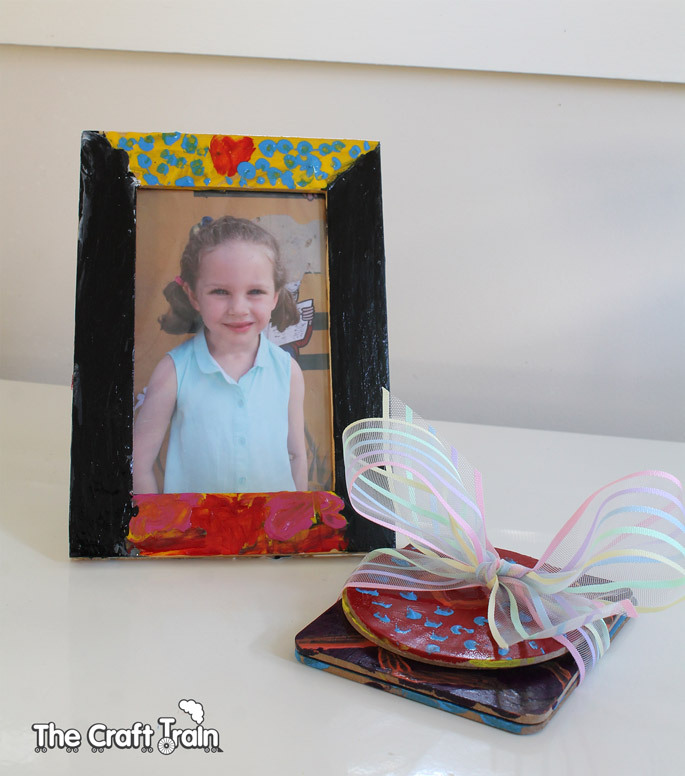 We finished them with a sealer – I can’t remember which one but it might have been Mod Podge. There you go! 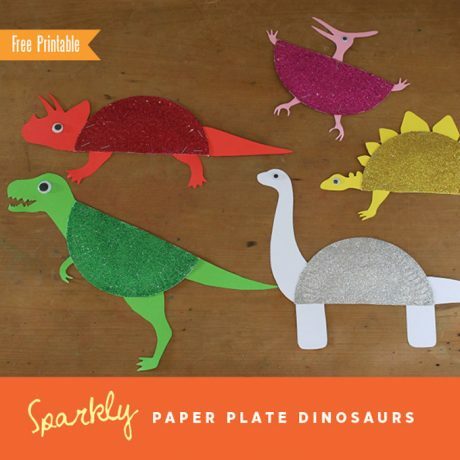 Are you feeling inspired to do some kid-made gift making at home? We hope so. 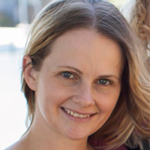 To me it feels lovely to receive gifts that are hand made by my girls – or any kids, and I always assume that everybody else feels the same way. I think the fact that they are filled with so much love and good intentions makes all the difference! Make some home made Irish Cream with this simple recipe – warning: it tastes a bit to good to give away! 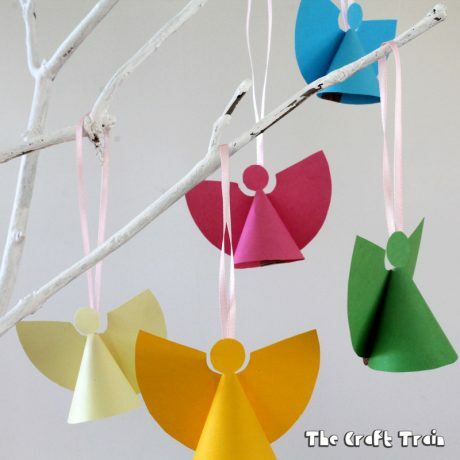 You can find LOTS more hand made inspiration on our gift ideas board on Pinterest. Are you following us?